Puttalam lagoon on Sri Lanka’s relatively untraveled North West coastline is to be developed into a tourism zone, the Puttalam local government authority has announced. According to the Mayor of Puttalam, K.A. Baiz, the area will developed into a zone similar to that of the Galle Face Green in Colombo and, apparently, will be referred to as “Colombo Face”. The proposed development comes after recent media stories and about plans to also establish a new harbour and local airport in the area. 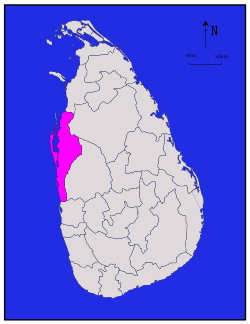 Since the end of Sri Lanka’s 30-year war in 2009 the government has been keen to develop tourism outside of traditional resort areas and the North-West coast, especially the beaches of Kalpitiya and Wilpattu National Park, are considered big attractions for the future. Someone essentially lend a hand to make critically articles I might state. That is the very first time I frequented your website page and to this point? I amazed with the research you made to make this actual put up amazing. Great job!